Regular readers of this blog know that we love it when fine culinary destinations like Urbane embrace craft beer. Urbane is a relatively swanky restaurant located in the Hyatt in downtown Seattle at 8th and Olive. I use the term relatively because I am not sure the word swanky alone ever applies to anything in Seattle. It’s just not the way we roll around here. 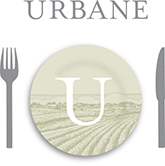 Whatever you want to call it, Urbane is a very nice, highly respected downtown restaurant. Today we learned of an upcoming beer event at Urbane. Tomorrow evening (Wednesday, October 17), the restaurant hosts a blind tasting showdown. Oregon versus Washington, mano-a-mano. Three beers from Washington head to head against three beers from Oregon. There are two tasting sessions: 6:15 and 7:00. The cost is $12 per person. To RSVP, [email protected].